Easter in Paris 2019 – Flowers, Music, Chocolate & Celebration! Church bells will be ringing, and les enfants will be hunting for decorated eggs. Easter in Paris is a time to marvel at intricate chocolate bunnies, eggs, and other seasonal creations filling the shelves of every chocolatier and patisserie. This year Easter falls in April — Easter Sunday on April 21 and Easter Monday (the official French holiday) on April 22. Given the country's love of culinary excellence, Easter focuses on traditions involving long, multi-course lunches and dinners. Remember, Easter in Paris is a busy time, so book your things-to-do calendar now! You're in Paris and it's the Easter weekend, so hop on a bateau and sail down the Seine while sampling the best of French cuisine. The three-course lunch ends with a triple chocolate raspberry concoction or a multi-layered butter caramel macaron with fresh seasonal fruits. These are the kind of choices we like to have to face. Easter dinner will be a VIP experience, with the waves lapping softly at your boat as you sit at a guaranteed window table enjoying a classic French 3-course dinner with wine. 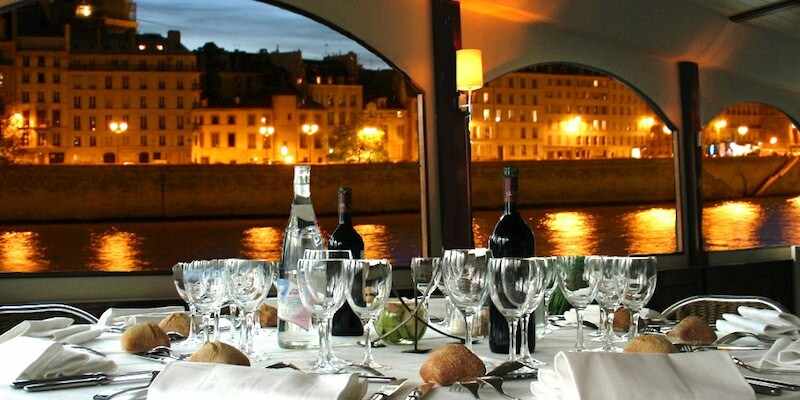 We recommend dinner cruises as a way to combine Paris sightseeing and French cuisine. If you've never been to Paris, you'll soon learn that the Seine is the core of the city and from a boat on the river you can see all the city's history. This elegant celebration dinner cruise includes hotel transportation. Available Easter weekend, including Easter Sunday. Imagine the looks on their faces when you tell them you're spending Easter in Paris… eating dinner on the Eiffel Tower at restaurant 58 Tour Eiffel! This combination gives you skip-the-line access to the tower as well as a seasonal three-course dinner with wine. After dinner, stroll to the banks of the Seine (just a few steps away) to board your bateau for an hour-long nighttime Seine River cruise. If you don't have your sea legs yet (river legs?) 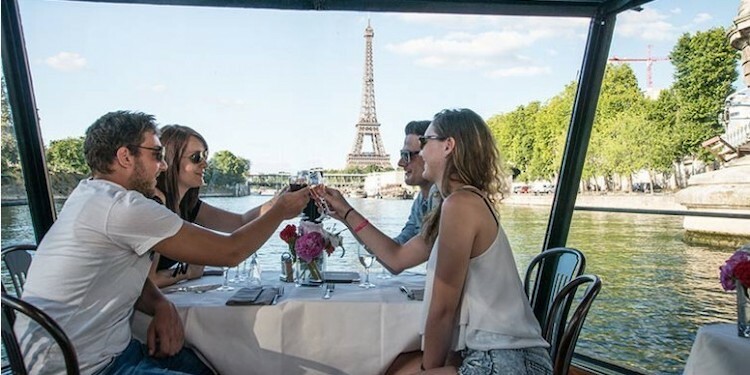 or just want to spend more time on the Eiffel Tower after you finish dinner, then opt for this dinner-only activity, without the river cruise. On the menu is smoked salmon with blinis, roast chicken, and a special guanaja chocolate crousti Eiffel conconction for dessert. Imagine this — Easter in Paris, cruising along the city's romantic river, viewing the most iconic sights of the City of Light. 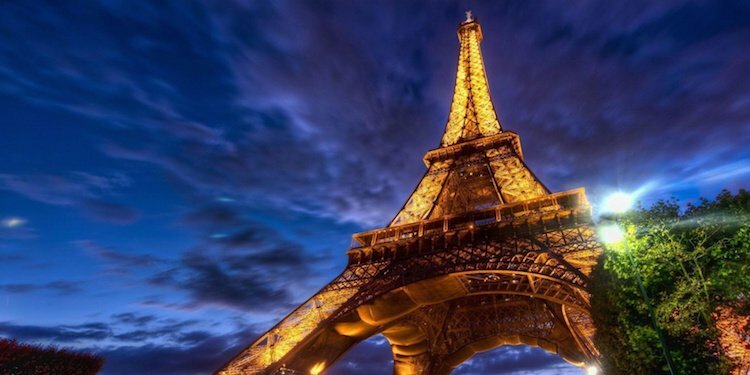 Then imagine combining that with visits to two of the city's other icons — the Eiffel Tower and Moulin Rouge. That adds up to a complete night out in Paris. 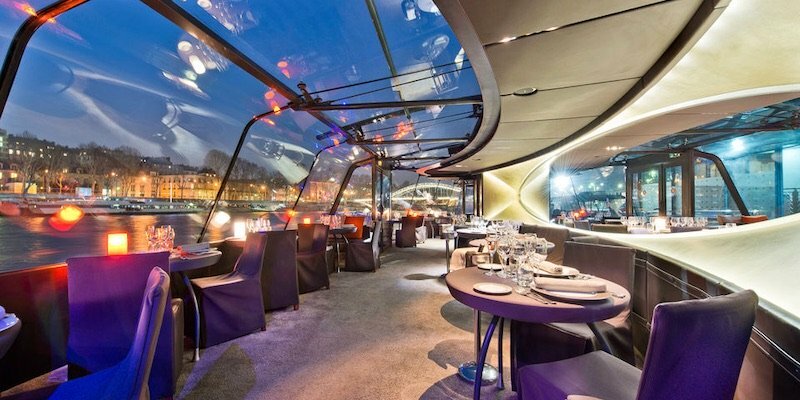 You can choose to have dinner on the Eiffel Tower followed by a river cruise. 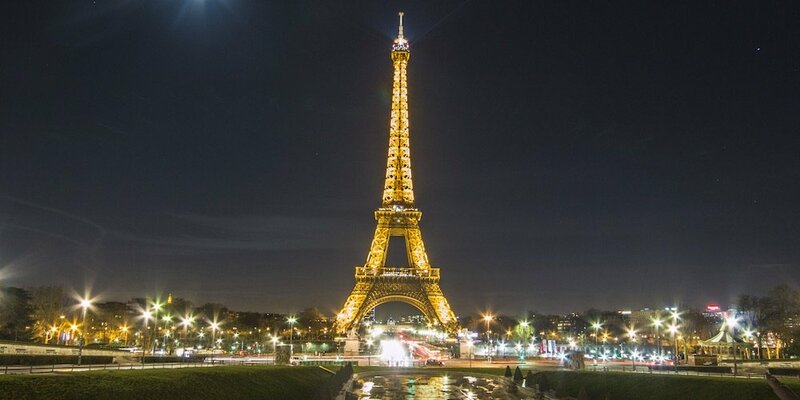 Or, opt for a dinner cruise followed by a visit to the Eiffel Tower. In either case the night is capped by a visit to the Moulin Rouge to see its famous cabaret show — with champagne, of course. The Eiffel Tower dinner option is still available on Easter Sunday. Trendy, upbeat and centrally located, some of the cutest Paris hotels in are found in the picturesque Latin Quarter. It's one of our favorite places to be in the city, and you're close to so many attractions — like the Pantheon, Jardin du Luxembourg and even Notre Dame Cathedral, just across the river. As you would expect, hotels book quickly during Easter in Paris. 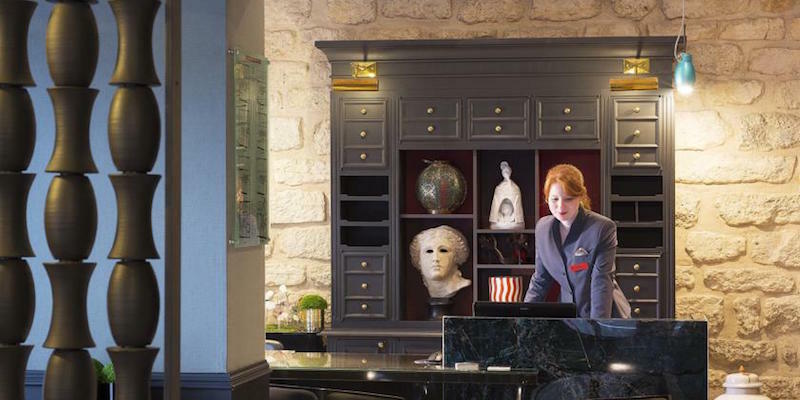 Here, we present our the top-rated Latin Quarter hotels that have stood the test of time, including our favorite boutique hotel Hotel Monge. You're in luck! The Louvre is open Easter weekend and the fabulous guided tours are available to help you get past the long lines and into the world's most popular museum. 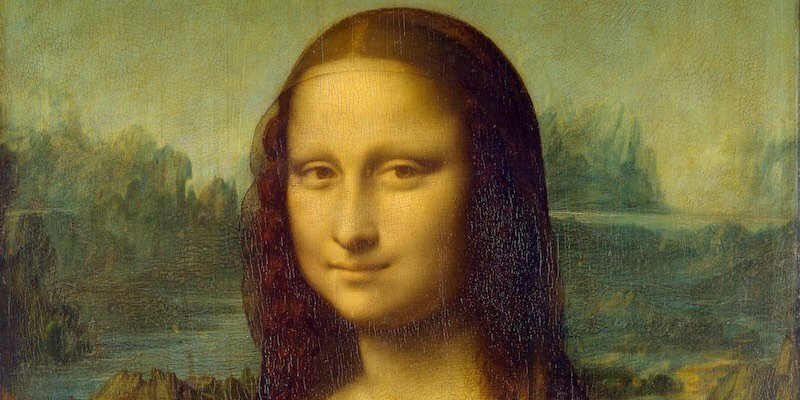 The two-and-a-half hour tour gets you to Mona and Venus plus a lot of other highlights. After the tour you're free to explore everything else – including the temporary exhibitions. Calling all chocolate lovers — you really haven't lived until you've seen the windows of Paris chocolatiers decorated in their best-of-Easter displays. 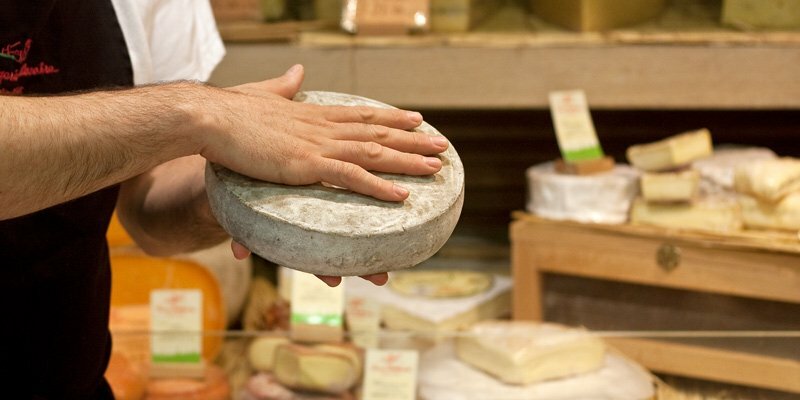 On this walking tour you'll explore the finest shops and well, we're sorry to break it to you… there will be plenty of sampling. 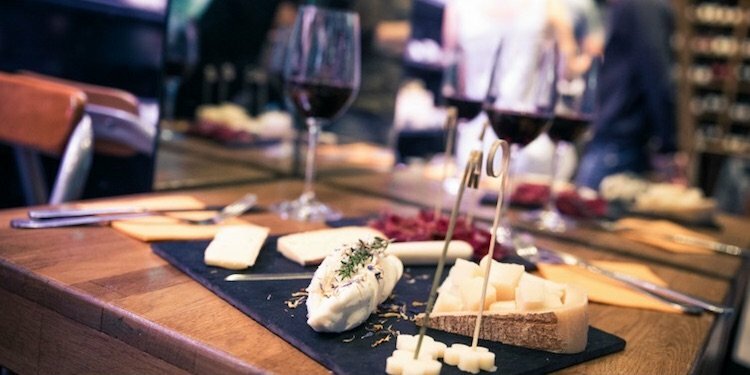 This very popular food activity is going to sell out, so be sure to book right away. Easter is a huge holiday in France and can you guess how they celebrate the season? With plenty of wonderful food. Guess there's no secret there! Choose the Latin Quarter or Montmartre as your guide takes you to the best boulangeries, fromageries and patisseries in the city. Warning — plenty of sampling is required! 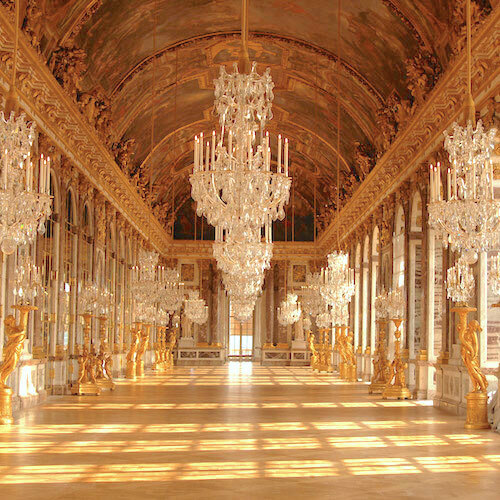 Take in the splendor of Versailles during the Easter break. 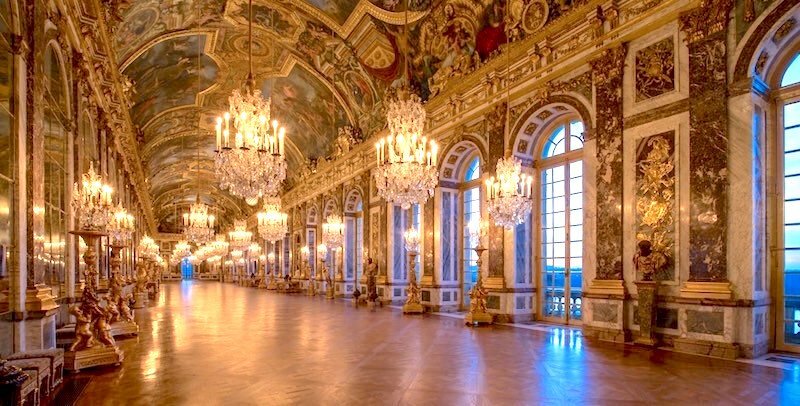 This activity truly is the best of Versailles, packing a punch with a combination of hotel transportation, skip-the-line access, a private tour, a multi-course lunch with wine, and time to explore the magical parkland. You can opt for the small-group tour of 8 people or for a private tour for just you and your friends. Now that the warm weather of April is here, this popular day trip to the Loire Valley is available again. 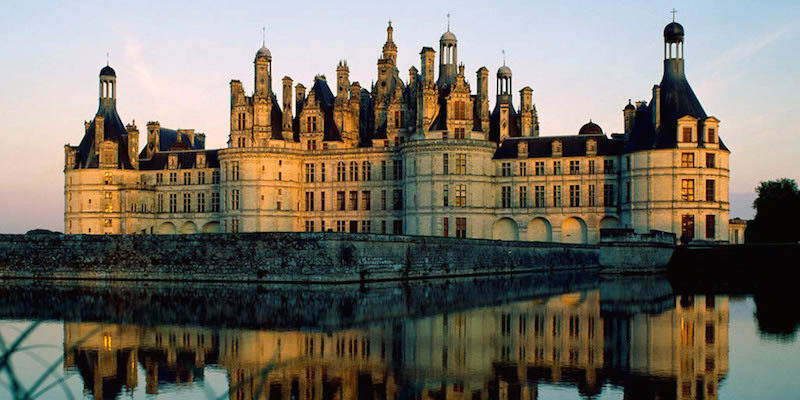 It includes tours of the most impressive castles in the world, and also includes a guided tasting of the equally-famous Loire Valley wines. This Easter tour, with an expert guide, is an easy day trip from Paris. Let us set the scene. 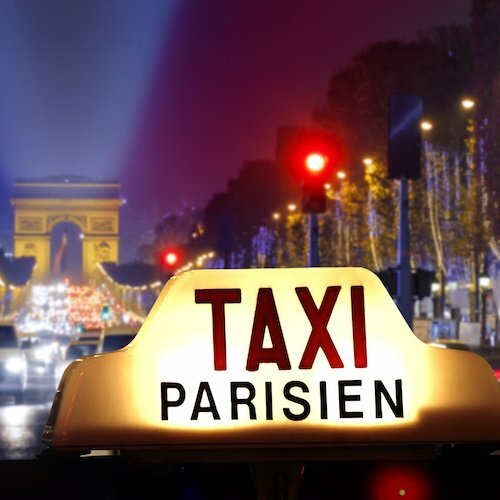 Your driver/guide gathers you from your Paris hotel and whisks you away on an action-packed day in the Land of Bubbly. 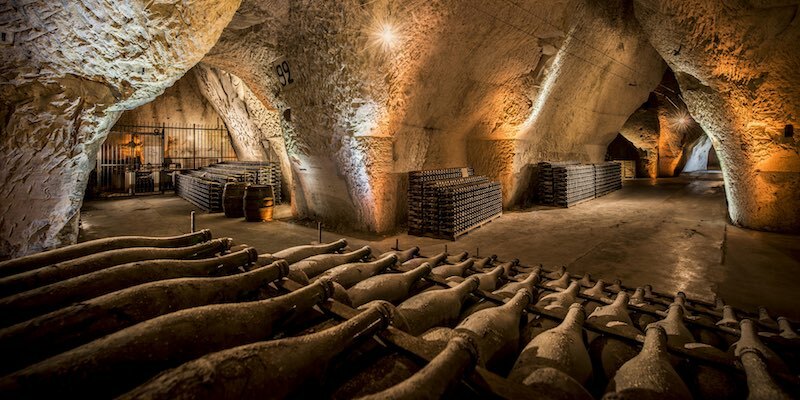 Visit champagne estates plus the famous underground caves where thousands of bottles are stored. Drive through the vineyards to the village of Hautvilliers, home of Dom Perignon. You can also opt for a private tour. Easter is also a time for classical music performed in historic venues. 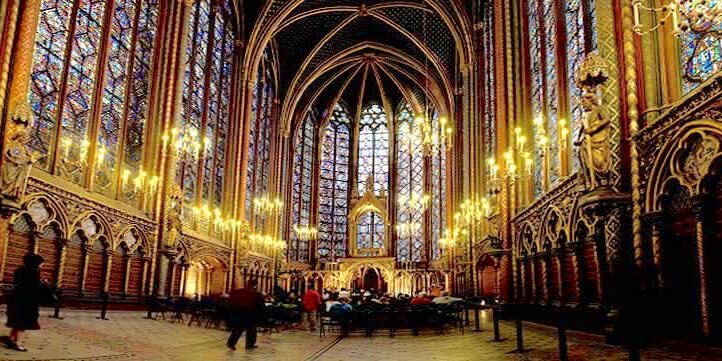 There are still tickets left to hear a performance of sacred music by Vivaldi, Vitali & Pachelbel at La Sainte Chapelle. The soaring Gothic architecture of the church enhances the emotional intensity of the music. This Easter, 40,000 colored eggs will be hidden in the gardens of Parc André Citroën. Children and their parents are invited to the hunt as well as other fun family activities. Check the website for latest information about dates and times. 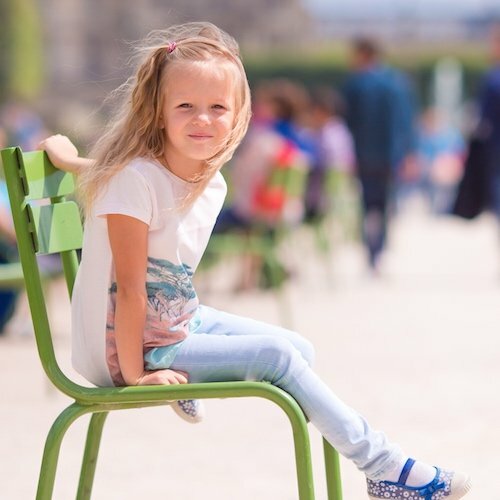 Over the past few years, the biggest Easter egg hunt in France has been held at Chateau Vaux-le-Vicomte, located about 30 miles southeast of Paris. Thousands of families travel to this beautiful and famous chateaux to enjoy the weather and to hunt for the 85,000 eggs and beaucoup de chocolate hidden in André Le Notre's famous garden. The Vaux-le-Vicomte schedule for Easter 2019 hasn't been posted yet, but be sure to check their website. For Easter the roof of the Grande Arche at La Defense is transformed into a farm with donkeys, baby goats, geese, rabbits and baby chicks. Discover life on the farm with workshops, games, a maze and of course, an Easter egg hunt. 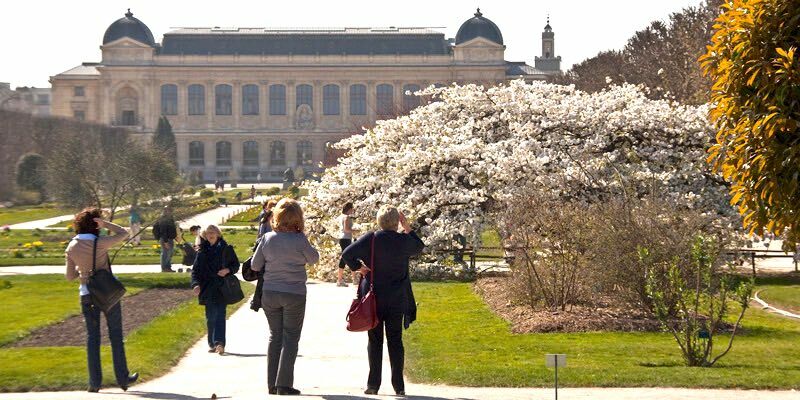 The Montmartre Museum welcomes children for an Easter egg hunt in the Renoir Gardens. Children will search the gardens for precious Easter eggs hidden amongst the flowers, trees and shrubs. Enjoy an Easter day hunt at the Paris Zoo — Parc Zoologique de Paris. 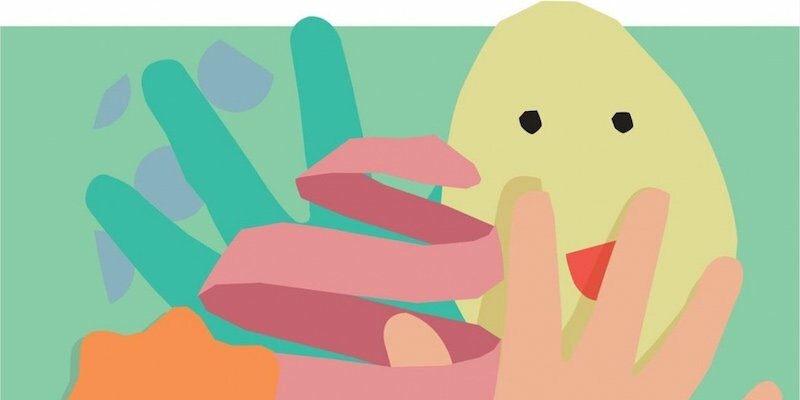 Children will try their luck to find hidden eggs and trade them in for real chocolate eggs. Check the website for details. An Easter egg hunt organized by the Secours Populaire takes place on Easter Sunday in front of the Eiffel Tower on the Champ-de-Mars from 10 AM to 5 PM. There is a small fee. 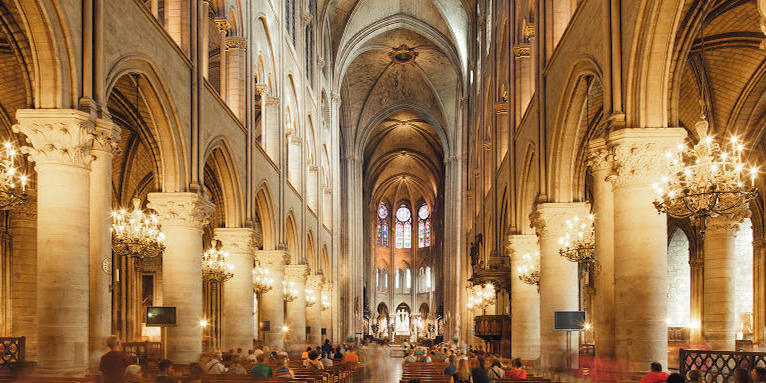 Following the fire disaster at Notre Dame Cathedral on April 15, 2019 we suggest the following alternative location for Easter services. Here are the most recent details about services at nearby Église Saint-Eustache. Our best advice is to arrive at least 30 minute before services are scheduled. Also note, this is a place of worship, so dress accordingly — no fleece, runners, sports wear, etc. April 21 – Easter Sunday. 11:00 AM mass, 5:00 PM organ recital, 6 PM mass. The world-famous snow-white basilica set on the highest point of Paris is open every day from 6:00 AM to 10:30 PM. Entrance is free. Check their calendar for services, including mass. Instead of fighting the crowds at Notre Dame, head over to the Latin Quarter for services at this historic Catholic church, just kitty-corner from the Pantheon. The stained-glass windows date from the 16th and 17th centuries. This is the largest synagogue in France. It was built in 1874 with financial support of the Rothschild family. It can seat over 1,800 people. Established in 1861, this was the first Orthodox church in France. Pablo Picasso and Olga Khokhlova were married here in 1918. Classified as a historic monument, the Cathedral is a a center for English-speakers in Paris. This was the first American church established in Paris, in 1814. 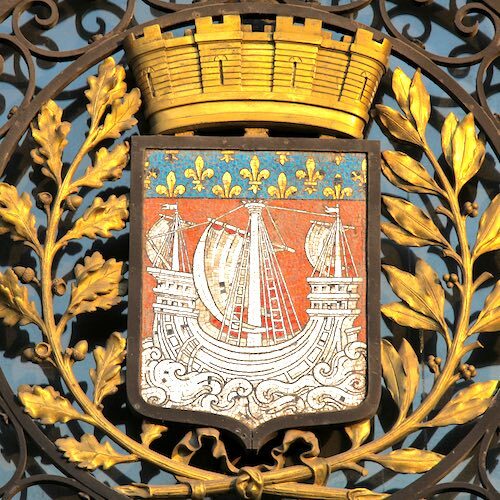 It's located on the left bank of the Seine between Pont d'Alma and Pont des Invalides. Although Easter Monday is the official holiday in France, many banks, public services, small restaurants & cafes will closed. Even the public transit will run with limited holiday hours. However, a number of Paris museums will be open during the Easter weekend — including the Louvre, d'Orsay and Pompidou. Shops, museums and restaurants will be open. Good Friday is not an official holiday in France, but the train stations will be packed as Parisians's plan for a four-day Easter weekend getaway. 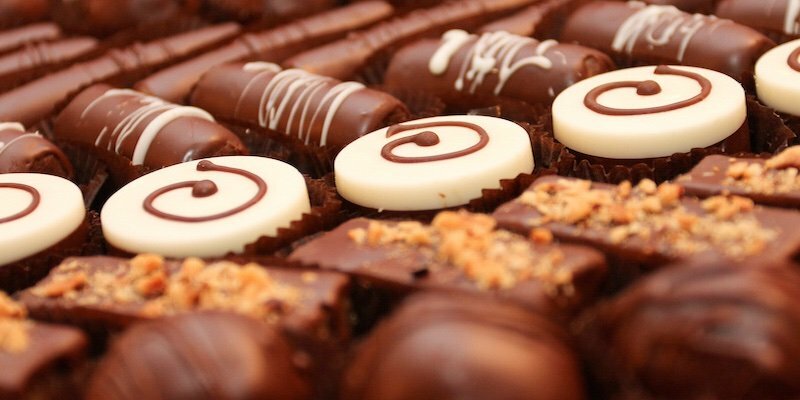 Shops and services will be open but be warned — chocolatiers, fromageries and anywhere food and wine are sold will be jam-packed with locals stocking up for Easter Sunday and Easter Monday. Make sure to stock up yourself as many services will be closed for the next two days. The good news is the Eiffel Tower is open 365 days a week. The bad news is there's always a long line, made longer with the added security. The good news is you can book a skip-the Line Eiffel Tower Tour that includes WIFI access.